Chinese with Lulu and Maomao is a fresh and fun approach to language learning. It is designed like a storybook rather than a textbook to give children a bright and stimulating introduction to Chinese and covers topics that will appeal to young learners, such as family and friends, school, toys and games, numbers and colors. 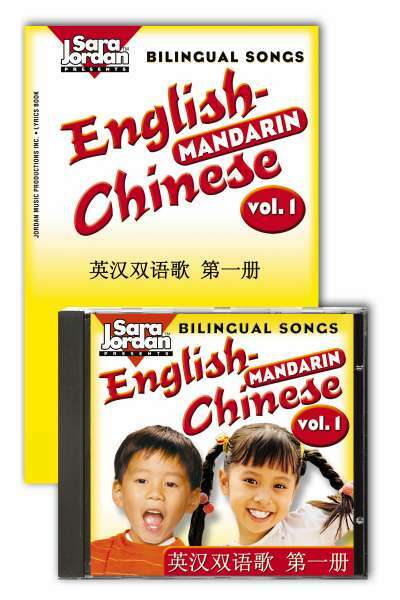 There's also a CD with the book to give children a lively context in which to practice speaking Chinese. * Ideal for use at home or in the classroom * Features Simplified Characters and Pinyin, and includes Pinyin chart * Look at this! feature to highlight language structures, pronunciation and tones * Quizzes to test progress * Wordlist for reference * Support for parents and teachers on effective language learning Note: The Chinese text in most Milet books is in Complex characters. It should be understood by speakers of all dialects, including Mandarin and Cantonese. This book, as specified, features Simplified Chinese characters, which is now the form most commonly taught in schools in China and Singapore and should also be understood by speakers of all dialects. The Chinese Odyssey, Volume 6 textbook solidifies students’ competence in modern Chinese communication. In year three of Chinese Odyssey, students will carry on more sophisticated discussions in Chinese and learn to express themselves in writing. The book’s five lessons contain dialogues and texts, clear and detailed explanations of grammar rules and language usage, coordinated grammar and communication exercises, and cultural material. Lesson topics in Volumes 5 & 6 range from traditional Chinese marriage customs, to the Chinese political system and its administrative structure, to the state of environmental protection and pollution in China. This book is intended to cover the second semester of third-year Chinese for students in high school or college. This book includes practice exercises integrated throughout each section of the textbook, eliminating the need for a separate workbook. At the end of each lesson, Comprehensive Exercises integrate listening, speaking, reading, writing, and grammar practice. These exercises are the same as the exercises in the multimedia CD-ROM. Exercises and quizzes in all volumes are modeled after the HSK, China’s standardized test of Chinese for foreign learners, making Chinese Odyssey the ideal series for anyone who plans to study or work in China. 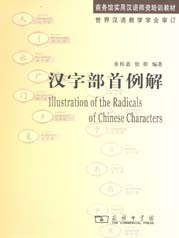 This book presents traditional and simplified characters on facing pages, to encourage fluency in students who wish to study and compare the two forms. "This reader is designed for an intermediate-level Chinese course in which students not only develop proficiency in the Chinese language but also gain some knowledge of Chinese culture. It consists of twenty-two lessons, which are arranged according to their level of difficulty. Each lesson contains a core text and a reading text. The contents of the texts cover a wide variety of topics, including Chinese language structures and characters, Chinese customs, proverbs, holidays, social phenomena, religions, poetry and geography, as well as Chinese folklore. 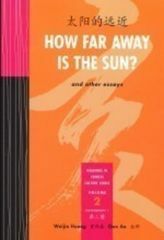 A list of questions for group discussion follows the text in each chapter to help students further explore issues related to Chinese culture and to their own lives. Grammar notes and exercises for relevant grammatical points are introduced after each core text to enhance students’ skills of reading, comprehension and writing. The grammar notes are all explained in English and illustrated through sample sentences in Chinese with English translations. The exercises are written in a simple and humorous style to maintain students’ interest. Learners of the Chinese language will find this reader a resourceful reference on Chinese culture and society as well as a useful textbook that helps them master the language better." "First semester of second-year Chinese, or ACTFL ""Intermediate Mid"" level. College, high school, and adult learners. ""How far away is the sun?"" is a philosophical conundrum most Chinese children can readily explain. With this reader, non-native learners of Chinese will understand this Confucian query as well as other challenging cultural questions, while solidifying their Chinese language skills. How Far Away Is the Sun? satisfies the need for fun and interesting supplementary reading material for Chinese language learners. The second in a five-volume Cheng & Tsui Readings in Chinese Culture Series, this collection of ten original essays is ideal for intermediate students in their first semester of second-year Chinese, or at the ""Intermediate Mid"" level, as designated by ACTFL proficiency guidelines. " "Second semester of second-year Chinese, or ACTFL ""Intermediate High"" level. College, high school, and adult learners. The Moon Is Always Beautiful invites students to appreciate the rich textures of traditional and contemporary Chinese culture while sharpening their reading skills. The third in the five-volume Cheng & Tsui Readings in Chinese Culture series, this collection of ten original essays is ideal for intermediate students in the second semester of second-year Chinese, or at the “Intermediate High” level, as designated by ACTFL proficiency guidelines. 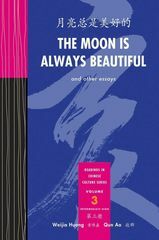 Used as a supplement to any intermediate Mandarin Chinese textbook, or as reading material for independent learners, The Moon Is Always Beautiful will refine students’ grasp of Chinese vocabulary and grammar while also strengthening their understanding of Chinese arts, culture, and society. Given the cultural focus of the AP* and other standardized Chinese exams, teachers will welcome this resource that seamlessly combines language learning with an introduction to both classical and contemporary Chinese culture."